We’ve never been interviewed on TV, but we can imagine that getting high can take the edge off staring down the barrel of a camera. The only problem with that is, once you’re stoned, there’s no telling what’s going to happen once the camera starts rolling. There’s a wonderful history of people high on camera—from rock stars, to actors, and even regular people who got caught in the crosshairs of local TV. Take a look at all of the people caught high on this list and do your best to stay somewhat sober if you’re going to be in a situation where the cameras are rolling. Some of the funny high people on this list are notorious for getting stoned and chatting with a television presenter. Guys like Snoop Dogg, Lil’ Wayne, and Blake Anderson make no bones about their love of getting high. But it’s the people that you wouldn’t expect to give a funny stoned interview that really shine on this collection of people were sooooo high on TV. Some of the interviews are a little cringeworthy, but we won’t fault you for watching through your fingers. Get out the Visine and bust out the onion dip, it’s time to watch people give interviews while they were super high. Vote up the people who were definitely the highest while they were being interviewed, and if you’ve ever been stoned out of your gourd while trying to answer questions about your personal life, tell us about it in the comments. Can you blame Eminem for wanting to get stoned out of his mind before doing this interview? Not only is Slim Shady way out of his element at a Notre Dame game, but he looks like he's just smoked every joint he can find. 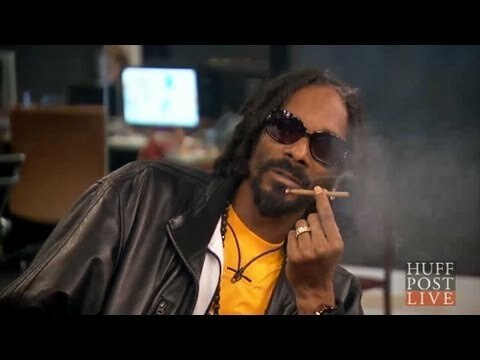 You can't talk about people being high during interviews without discussing Snoop Dogg. In this very strange HuffPo interview, Snoop is asked to freestyle and he's cool with that—but first he just has to hit a blunt. He's like the Bukowski of West Coast grandpa rappers. When are reporters going to learn that they should film their on-air drug stories either before they hot box in a Hummer limo (a thing that happens in this video), or at least a day later? Anderson Cooper's face as he tries to parse out how stoned Randi Kaye is should be our new spirit animal. While trying to film a remote in front of a burning pile of drugs, BBC talking head Quentin Sommerville can't help but get stoned. Good luck getting his cheeky laugh out of your head for the rest of the day.